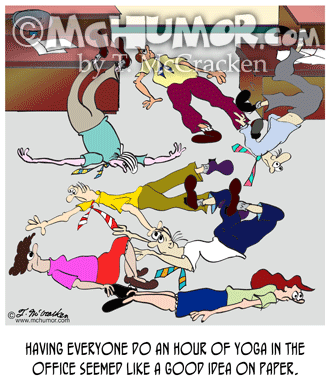 Yoga Cartoon 9001: "Having everyone do an hour of yoga in the office seemed like a good idea on paper." 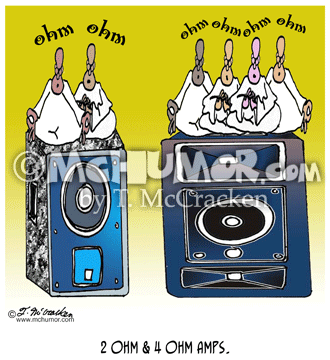 People in an office are collapsed on the floor. 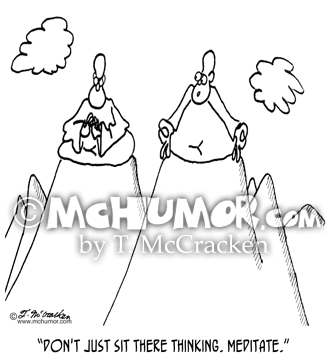 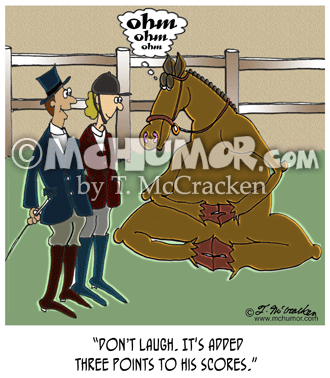 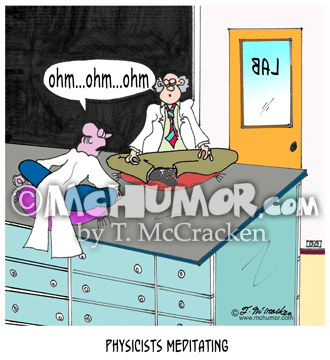 Physics Cartoon 6293: "Physicists Meditating." 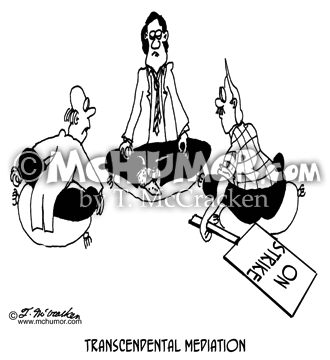 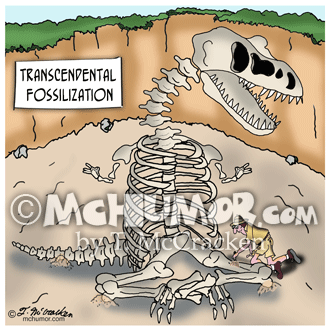 Scientists sit cross legged in the lab chanting, " ... Ohm ... Ohm ... Ohm ..."
Meditation Cartoon 5728: "Transcendental Mediation." 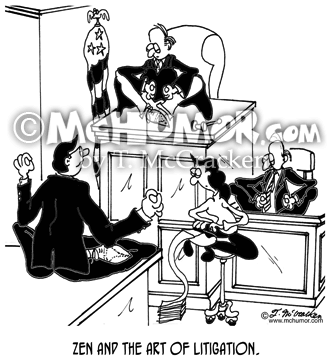 Strike negotiators sit around a bargaining table in a yoga position.